The hottest Cardistry deck to hit the market is back with a new color! These decks are made to be used. This deck features De'vo's signature twin tip mirror back design meaning you can get 4 different fans with this deck without worrying about the order. 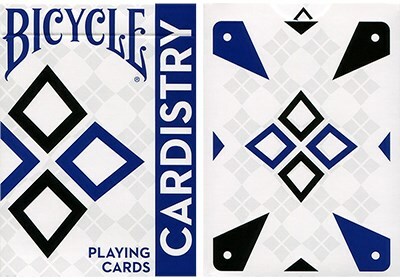 Plus it has 3 different cover cards which can be used to transform the appearance of the deck, or for magic tricks. This deck is a one of a kind custom deck featuring faceless court cards, custom pips, and special features designed for Cardistry. This deck is printed by the USPC with the finest stocks and finishes available and handles like a dream! Be BOLD, Be DIFFERENT, and stand out from the crowd with a deck that was designed to fit your lifestyle!